Although this is another cliché photo, I hope to post it with different mood and time, and new gear Canon 17-40mm. 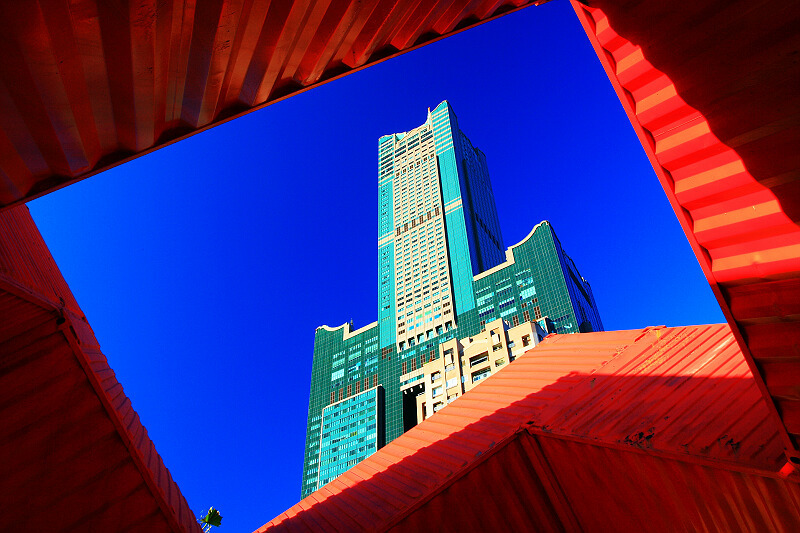 I lay down on the ground, looked up the 85 building under an art work built with red containers. The strong color contrast between red and blue make the composition. A CPL helped a lot. I waited until all clouds were gone to make the composition simple.